It was 250 years ago that thousands of Sikhs were killed in two days (February 5 & 6, 1762) at Kup-Rohira near Malerkotla. Known as the Vadda Ghallughara (great holocaust), this massacre of Sikhs at the hands of Afghan invader Ahmed Shah Abdali was a fallout of Sikhs looting money and other precious articles from Abdali's forces, especially after his fourth invasion in 1757. Abdali's attack on the Sikhs' revered place of worship, Harmandar Sahib (Golden Temple), and the incident of the foreign invaders filling the sacred pond with slaughtered cows, resulted in the sowing of seeds of hatred amongst the Sikhs against Abdali. The January 1761 battle between the Marathas and Abdali saw bands of Sikhs snatching a lot of the loot from the latter's forces. The emboldened Sikhs who had been constantly attacking Afghan invaders, draining them of their resources had infuriated Abdali. The Afghan invader's sixth invasion in 1762 was specifically directed against the Sikhs, as earlier on his way back after winning the Panipat battle, Abdali's forces had been attacked and harassed by Sikhs right from the Satluj to the Indus. Abdali's fury resulted in more than 25,000 Sikhs and their families being massacred in just two days, with the killings starting from Kup-Rohira and culminating at Gehal, as the invader's forces passed through village Kutba. Historians however differ on the number of Sikhs who were killed in the holocaust. According to historian N K Sinha, 25,000 Sikhs were killed, historian H R Gupta puts the figure at 12,000, while Sikh scholar Rattan Singh says that 30,000 people were killed. This carnage, known as the Vadda Ghallughara became a turning point, with Sikhs turning against the foreign invaders. Surprised by the attack by Abdali's forces, the Sikhs, according to historians threw a human shield around women, the elderly and children, who needed protection, and prepared for battle. Abdali, however, succeeded in breaking through the ring and carried out a fullscale massacre. Following the killings, the Sikhs hit back by killing Sirhind governor Zain Khan. They killed him for siding with Abdali's forces as he had engaged the Sikhs in fighting even before the marauder had reached Kup on February 5, at least two days before the Sikhs had anticipated his soldiers reaching there, according to historical records. The Sikhs had expected Abdali's soldiers reaching near Malerkotla on February 7. Abdali waged another battle against the Sikhs, starting from Afghanistan in October 1764 and attacking Amritsar on December 1, 1764. Sikhs including Jassa Singh Ahluwalia, Jassa Singh Ramgarhia, Charat Singh Sukarchakia (Maharaja Ranjit Singh's grandfather), Jhanda Singh Bhangi and Jai Singh Kanhaiya closely pursued his forces, constantly raiding the imperial caravan. Their attacks angered Abdali who lost much of his loot to the Sikhs. Historian H R Gupta in his book, "A history of the Sikhs," writes "Nothing could surpass the daring, the dogged tenacity and invincible fortitude of the Sikhs who held themselves with their exposed flanks and open rear." Now a memorial is coming up at Rohira in the memory of the martyrs of Vadda Ghallughara. People living in the area are a proud lot as their land had made immense sacrifices in keeping foreign invaders away, said Darshan Singh, a resident of Kup, while adding that, "It is good that a memorial is coming up to remind the coming generations about the valiant struggles of the Sikhs." Punjab chief minister Parkash Singh Badal had laid the foundation stone of the memorial in 2009 at Kutba but it was shifted to Rohira, the following year when SAD president Sukhbir Badal laid the stone there on October 18, 2010. However, the memorial spread across 10 acres of land at Rohira that is being built at a cost of Rs. 12 crore is far from ready. Moreover, the fact that it is coming up at Rohira has not gone down well with the Kutba residents. "We are feeling cheated as our village has been ignored and the memorial is coming up at Rohira despite Badal, SGPC president Avtar Singh Makkar and former president of the Sikh body Bibi Jagir Kaur laying stones at different times at Kutba", rued Nirmal Singh, member, Kutba Ghallughara Yadgari Gurdwara Committee. Mukhtiar Singh, a villager said angrily, "If the memorial was to be built at Rohira, then why did Badal fool people by laying the foundation stone here?" A hand-written bir of Guru Granth Sahib kept at Kuthala village's gurdwara is still intact even after 250 years. 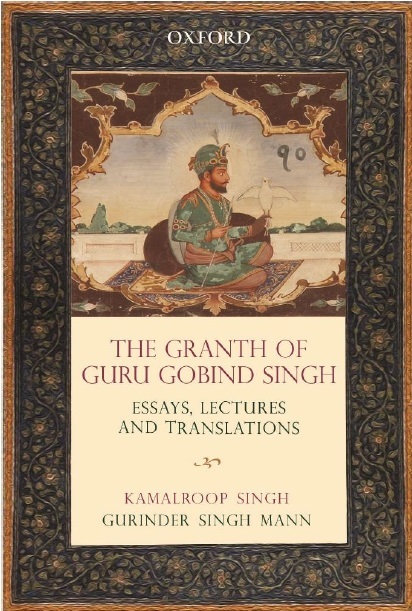 The holy book was said to have been taken to Kuthala, when Ahmed Shah Abdali's forces were killing Sikhs. The bir was brought to the village by Baba Sudha Singh and since then it has been kept at the Kuthala gurdwara, informed Paramjit Singh Kuthala, a villager. It is said that the tenth Sikh master Guru Gobind Singh had got five birs written at Damdama Sahib. The bani (writings) of the ninth Sikh master Guru Tegh Bahadur were incorporated in these birs. These five birs were given to different jathas (groups) of Sikhs by Guru Gobind Singh to be safely installed. One bir was being taken by Sudha Singh who was leading a jatha of 19 Sikhs, when Abdali' forces stormed Kup-Rohira and killed thousands of Sikhs. "Though all 19 Sikhs were massacred by Abdali, Sudha Singh somehow brought the bir to Kuthala. Since then it has been kept at village gurdwara", said Paramjit.